The new EZ Cam XR is designed by SPC Performance for non-slotted struts. It allows both positive and negative camber changes up to approximately 1.75 degrees (depending on vehicle) by replacing the upper OE strut/spindle bolt. 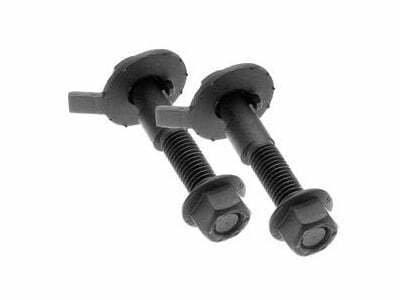 This easy to use adjuster provides built-in adjustment over the life of a vehicle just by rotating the head of the bolt. Each kit contains two cam bolt assemblies, enough for both sides of the vehicle. Click on More Details to view applications. Does SPC 81270 fit your vehicle?